Located in a small village of Bujera with the backdrop of Aravalli hills this lovely new-build fortress hotel, takes you back into time. 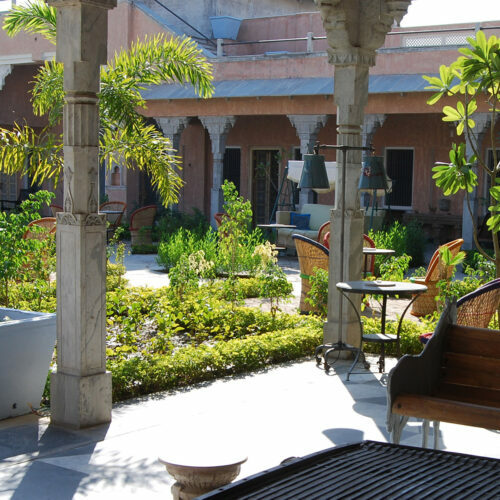 Though tucked away from the hustle and bustle of the village streets of Bujera, this little gem is stones throw away from the city of Udaipur. British owners Trish MacFarlane and Richard Hanlon have maintained the traditional charm while cconstructing this beautiful country-side home. The fort comprises of eighty-six hand carved stone columns, many Jarokas (suspended balconies) in local stone, and salvaged antique windows and doors. 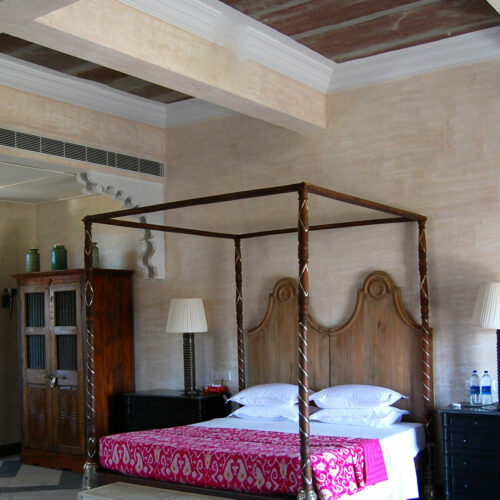 Bujera Fort building consists of two master suites and five cloister bedrooms and two smaller houses, Bujera House (four bedrooms) and Bujera Bungalow (four bedrooms), which can be booked separately as self-contained units. 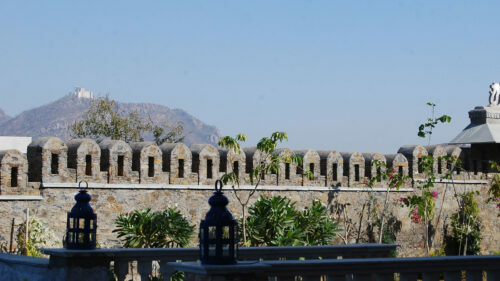 Built on two levels, this blushing pale pink fortress is set around beautiful flower-filled Mogul gardens and on the west side of Lake Pichola, with stunning views of the surrounding landscape.